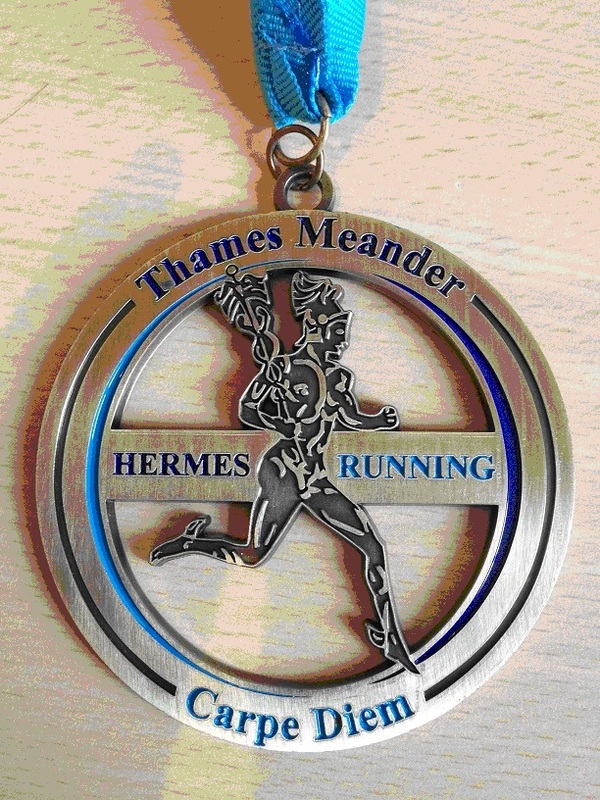 The Thames Meander Marathon is a trail marathon which starts in Kingston upon Thames and winds its way to the scenic Richmond Park where the course continues along the trail towards the river Thames towards Putney Bridge and back. After a week of studying the weather forecast and worrying about the anticipated 30 degrees on the Monday to the potential of torrential rain on the day before thankfully both forecasts were wrong and we just ran in the lovely British drizzle. The event is pretty low key about 500 runners between the half and full marathon. It is run by the local club and has a really nice friendly feel to it. I tried something new for this marathon which was to not be controlled by pace or worrying about distance markers (as there were none) I ran on my heart rate. Owen was my pack horse loaded down with all of our drinks and gels but there were 7 fuelling stations along the way run by great volunteers. Up to 16 miles I was second lady and could see the 1st place women slowly get reeled in., from that point on we passed about another 10 runners. It wasn’t until we hit a climb into Richmond Park that I turned to Owen (mile 24) and said “I’ve had enough” but I managed to distract myself by the beautiful sight of stags watching me amble by. Our last mile was one of the quickest due to my lovely husband saying if you pick it up you might get a PB. Little did I know I was well inside a PB but his tactics worked anyway? I crossed the line in a new PB of 3.11.51 setting the female course record. I was chuffed to say the least and took away a prize which wasn’t quite as comparable to winning the London Marathon…a plaque smaller than the size of a rich tea biscuit and a £15 voucher for a running shop down South so no glory didn’t go to my head. The event was held at a school so we had great showering facilities (ideal size for a hobbit) followed by some hot food and a Pimms, you can tell we were down South. If you fancy a weekend away with a scenic trail marathon thrown in the mix, this is one to consider. It’s only £15 to enter, you get a great medal and it is chip timed plus frees nosh and drinks afterwards. The weather was forecast to be hot and it didn’t disappoint. We were thankful that we would be away by 9am and back before the real heat of the day kicked it. Thousands of runners gathered in anticipation on the track inside Don Valley Stadium fully fuelled and hydrated for the task ahead. Shortly after 9am we were off and making our way towards the city centre and onto the steady uphill climb of Ecclesall Road. The streets were lined with hundreds of supporters who cheered us on as we ran by. I was eager to get a good start and felt good up until the steady climb up Ecclesall road. As I turned at Hunters Bar I could feel the heat as it began to bounce up from the road. I pushed hard back towards the town centre but found it hard to maintain my pace. As Don Valley Stadium appeared I still had a mile to go. 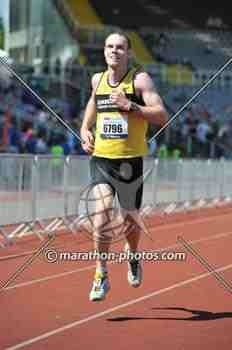 I kept my head down and made a final push towards the finish and ended up sprinting down the home straight. In reflection, after a fairly hilly course, on a hot day and without any specific training. I am happy with my recorded time of 1:22.54. I’m looking forward now to start back training 5/6 days a week and dropping my weight in order that I can reach new goals that I am setting myself over the next 18 months. 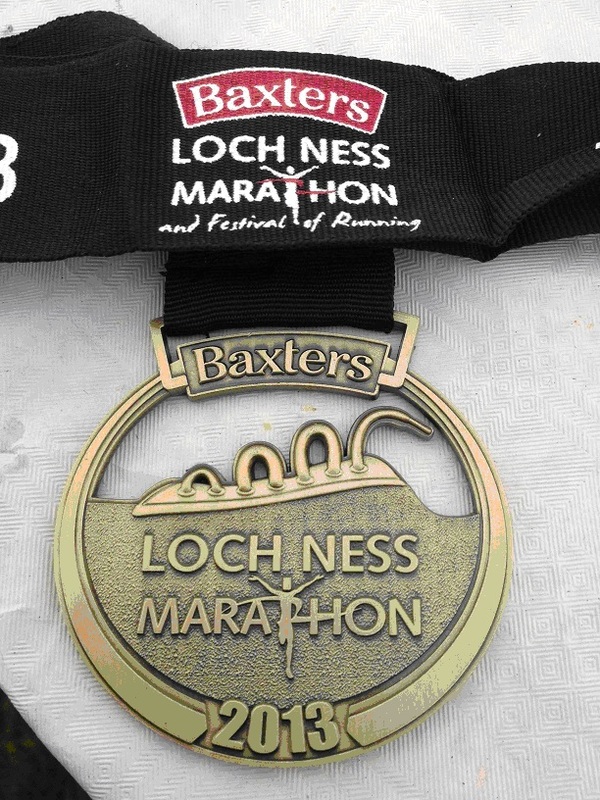 Congratulations to Martin whom I managed to coach and train very successfully in not only completing his first ever marathon but managing to go sub 4 hours by recording a time of 3 hrs 58 min 1 second! Martin was literally over the moon! 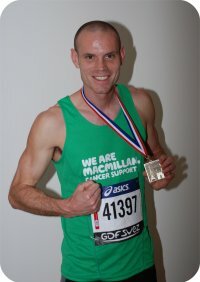 The hard work and training certainly paid off and now he’s looking at doing the New York Marathon in November 2012. The 2012 London Marathon is 7 days away now and with the last 10 mile run done and dusted its time to take the foot off the gas and enjoy an easy weeks training/taper. This year I will be running with a good friend of mine, Martin for whom it will be his first marathon! 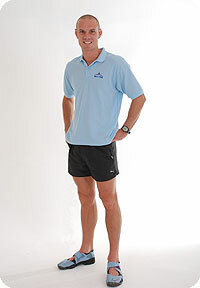 A few years ago, Martin had completed the Great North Run and feared the prospect of ever running twice that distance. Never the less he was determined to conquer it so I drew up a training plan for him and his quest for London began. Originally Martin had set himself a target of getting around in under 5 hours. However as the training miles were put in and after a fantastic run at the Retford Half Marathon (1:51) and successfully completing our last long training run of 24 miles in the snow, wind and rain, he is now ready to tackle London and we’re looking around the 4 hours 10 mark. I’m really looking forward to helping Martin achieve his goals and capturing that amazing feeling as we run past Westminster and along the final mile up to Buckingham Palace! Owen James ALL-for-YOU is available for help or advice on running, marathon training, sports nutrition, energy gels, carbohydrate loading, marathon race strategy. I’m also available for sports massage therapy which helps with injury prevention and recovery during your marathon training programme. OJ breaks the 3 hour Marathon barrier! 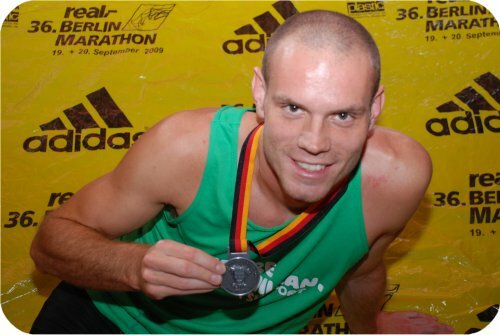 Local marathon runner Owen James, known to family, friends and colleagues as OJ, has beaten the elusive 3 hour barrier in the recent Berlin Marathon with a personal best time of 2 hours 59 minutes and 13 seconds. He came 1030th out of just over 35,000 finishers, a top 3% place, putting him in the category of elite runners. Owen, aged 31, is a former Sheffield United footballer and now works as a personal trainer and sports massage therapist with his own business ALLforYOU (www.all-for-you.co.uk). Two days each week he also trains people as a leading member of the leisure team at Hoar Cross Hall Health Spa in Staffordshire. Berlin was the 5th Marathon run in 3 years for OJ whose ambition throughout has been to complete the event in under 3 hours. 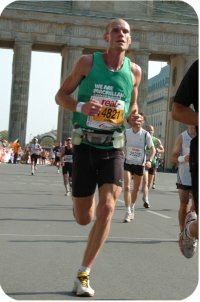 Runs in New York and London in 2006, 2007 and 2008 were followed by a personal best 3 hours 4 minutes in this Aprils Paris Marathon. Owen says, ‘By the time I ran in Paris I pretty much had my training down to a fine art. 18 weeks of preparation, 6 days a week, with 2 long runs every weekend really paid off but something was just holding me back that little bit’. He then realised that at 6foot 3inches tall and weighing 14 stones, hardly the normal for an elite marathon runner, a stricter diet alongside an already demanding training schedule was going to be essential if the 3 hour barrier was to be breached. A steady weight loss of around one pound each week alongside the daily runs meant that he could maintain his strength and stamina whilst at the same time giving himself that slight edge in terms of speed and endurance for the notoriously challenging distance. As well as having a time target Owen also raises funds through sponsorship for a variety of charities. This time he raised around £750 for the MacMillan Cancer Charity. He says, ‘Not only did I have the amazing experience of fulfilling a lifelong ambition I was also delighted to be able to raise some funds for this worthwhile cause’. OJ now plans to run the Boston and Chicago marathons in the USA in 2010 which are the final 2 of the 5 world marathon majors (London, Berlin New York, Boston and Chicago) but will concentrate more on simply enjoying the atmosphere and experience of taking part in the events rather than trying to beat his impressive personal best time. On Sunday the 20th September I will be embarking again on yet another one of the 5 world major marathons….this time in Berlin. Training started back on 18th May and has been getting progressively harder over the weeks. Having successfully achieved a personal best in Paris, I have been employing the same training schedule with a few tweaks! I am still extremely focused at trying to get under the 3 hour mark! I have added more miles this time around but am slowing my long runs down so as not to shred my legs for the hard weeks speed sessions. I have also been even more strict with my diet and have been trying to lose a few more pounds for race day. OWEN GETS ANOTHER PERSONAL BEST IN A TIME OF 3:04.45 finishing in the top 4.8%! The weather was spot on really and the crowds as encouraging as ever shouting ALLEZ ALLEZ! After hitting the wall in each of my 3 previous marathons, I knew that things had to change. Its not fun and makes you think never again. So after struggling during the last 6 miles of last years London I went back to the drawing board. Therefore I managed to somehow lose just over a stone from last year in order to help the cause, which meant that I was burning off less calories per mile. During the marathon it takes several miles before your muscles and joints are fully warmed up and performing efficiently. Therefore the negative split i.e. running the second half of the race faster than the first, ensures that carbohydrate reserves are spared for the essential last few miles. You will also get lighter as the race goes on as you lose weight from both sweat, carbohydate stores and the gels or drinks carried. Lastly- Fuelling, before, during and after, which I believe to be the final key piece of the puzzle. The products I have been using this time around which I can’t recommend enough are the ZipVit ZV range. The products really deliver and taste good too. I’m still heavy for a marathon runner and running at speed burns calories big style! The ZipVit gels deliver 154 kcals per gel which fuelled me to the end without hitting the wall. I finished this marathon with a smile on my face rather than a painful grimace. Owen gets a PB in the London Marathon! At 9.45am and with near perfect conditions, Owen set off on his journey around London. Owen said, ‘the weather was a welcome contrast to last years heatwave and the rain which came at mile 14 was really refreshing’. Owen had set himself a tough but realistic target of going under the golden 3 hour barrier. ‘My plan was to run a slow first half then finish strong towards the end’. Hitting the wall happens when your body runs out of carbohydrates. It is not a pleasant feeling and your pace will slow dramatically. Owen made it to the end and still managed to get a personal best, beating his previous New York Marathon time by 9 minutes! Owen would like to thank everyone for their support and donations. I managed to raise £1820 in total for Action Medical Research. Special thanks to Andrew Ingles and Susan Barber who were with me almost every step of the way! Owen has entered the London Marathon which will be run on Sunday April 13th this year and he will again be raising money for Action Medical Research. Following his success in the New York Marathon in 2006 and in London in 2007, Owen is aiming to run a personal best of under 3 hrs. Training has begun in earnest and will include provision for all possible weather conditions. April 2007 may have been a welcome heatwave for most of us but it was totally unexpected and not good news for marathon runners! So far in his 2 previous marathons and Race the Sun events in the Lake District, Owen has raised a total of more than £7000 for Action Medical Research and hopes to boost that amount much further this year. He welcomes sponsoship from all family, friends and clients however small or large the amount is.